You can place annotations over your mockups and display it like the actual website. This guides your client through while minimizing miscommunication and raises approval rates. 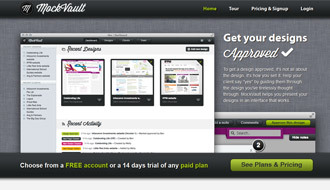 Your client can make comments or approve the design right at the mockups.